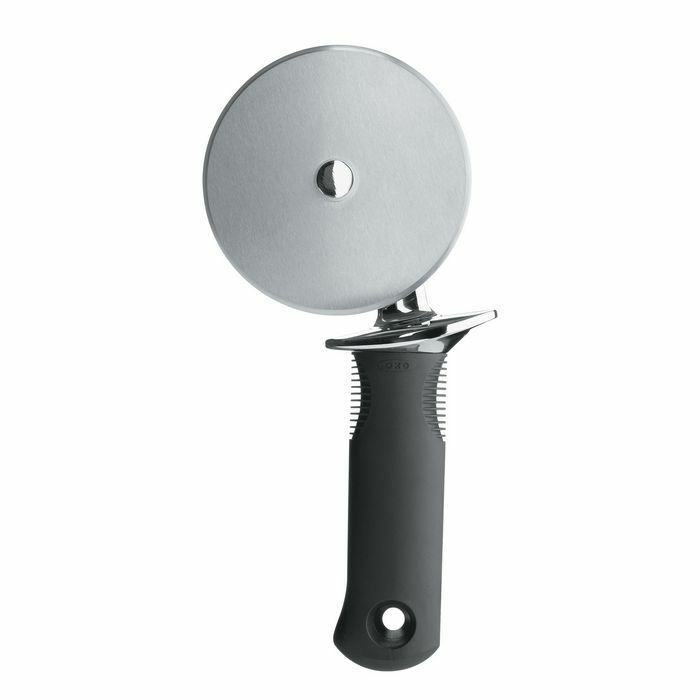 Brix Design A/S ... Pizza Wheel 4"
Slice through mushrooms, pepperoni, and extra cheese with ease with the OXO GOOD GRIPS 10 cm Pizza Wheel. Its sharp stainless steel blade cuts through crunchy crust, and is large enough to accom-modate Sicilian and thick-crust pizzas. A die cast zinc thumb guard keeps fingers away from the blade for added safety, and the large, soft handle absorbs pressure.